One of the great stories of the creation of Minneapolis parks appears to be little more than myth. In 1910, Charles A. Nimocks wrote a pamphlet entitled The Early History of the Minneapolis Parks From 1857 to 1883. Many people studying the history of the city’s parks, including me, have cited Nimocks’ booklet, which describes early efforts to create parks in the city. After all, Nimocks was present at the creation of the park board. He was a newspaperman (the manager of the Minneapolis Journal) who helped draft the original legislation creating a Board of Park Commissioners for the Board of Trade in 1883. He then was elected as a park commissioner and served 1884-1886 and again 1907-1913. 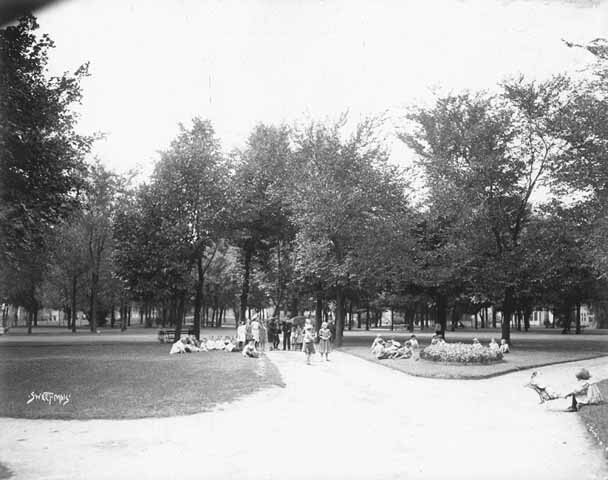 In Nimocks’ pamphlet, he tells the story of Edward Murphy who donated the first park to Minneapolis in July 1857—what is now Murphy Square near Riverside Avenue. 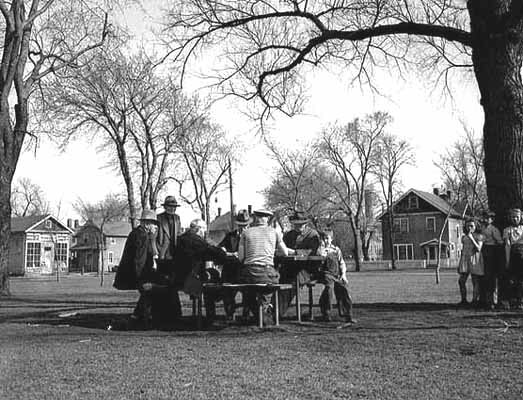 The event was cited as one of many examples in the early history of Minneapolis in which noble proponents of parks were exasperated by nefarious obstructers of progress. Theodore Wirth repeated the story in his 1945 book, Minneapolis Park System, 1883-1944, and so did I in City of Parks. But now I find that the story’s ending may have been fable—and false. While searching early issues of the Minneapolis Tribune recently (thank you, thank you Hennepin County Library) I came across this four-sentence article in the July 3, 1874 edition. The Council voted on Wednesday to instruct the City Clerk to deliver to Mr. Edward Murphy his order which has been in chancery for the last year or two. Mr. Murphy called and received the order yesterday, and City Treasurer Laraway at once paid him the money thereon, principal and interest. The interest amounted to almost one hundred dollars. Mr. Murphy declares that as the Council has finally done tardy justice to him, he now proposes to improve and care for the park at his own expense. The article makes little sense without the knowledge that Mr. Murphy had not been paid for his work at Murphy Park a year earlier. And even then, it’s not until the last sentence that we can infer what he may have been paid for: the improvement and care of a park. As Murphy’s park was the only one in the city at the time, the article offers evidence that Murphy was reimbursed for some work he did there. Perhaps because the article appeared in the Tribune, not his Journal, Nimocks chose to overlook it. Next chance I get at the library I will see if the Journal made a similar report. On the other hand, Nimocks wrote his pamphlet nearly forty years after the event. He may have “misremembered”—at least the resolution of the problem. There is little doubt however that someone planted trees in the park, because newspaper stories that mention the park in subsequent years refer to it as Murphy’s grove, as in “Swedish Lutheran Sabbath School will have a picnic in Murphy’s grove,” from the Tribune, July 3, 1880. Still it’s nice to know that Edward Murphy, a civic-minded man with foresight, was not cheated by the city that benefited from his generosity. One other note: Edward Murphy was a member of the City Council that finally did him “tardy justice.” He was not without some influence. Bravo Augsburg College and Park Board! For anyone who missed the news in October—I did—Murphy Square will be maintained for the next five years by Augsburg College. The college will provide routine maintenance, such as mowing the grass and shoveling the sidewalks. The college, which established a campus next to the undeveloped park in 1872, nearly surrounded the park by the 1930s. But what really made the park appear to be a part of the campus was the construction of I-94 in the 1960s. The freeway and its imposing sound wall formed a barrier at the south end of the park and the freeway prevented access from the residential neighborhoods to the south. Does anyone from the Franklin Avenue neighborhood south of Augsburg College — or Augsburg College students before the 1960s — remember the park before the freeway was built? Tell us your story. My grandmother owned a duplex just south of Murphy Square that was bought up to make way for I-94. I remember during the 50’s going there and playing at the park with my older brother. What stands out is a large sandbox in the park that we had lots of fun tight roping the edge of the box. We called my grandmothers house the place on Butler. Which is just south of the park. I recently received an excellent account of the Murphy Square neighborhood via email. I’m posting the whole message. Thanks, Gene! In response to the last line of the article here is my response about what was going on about the time of the I94 construction. I lived in a 4 plex on the north side of Murphy Square and attended Monroe Elementary (1955-1962) just southeast of the park. While the Interstate was being built the houses on the south side of the park were abandoned about 1960-1961. There was a 6 plex brick 2 story apartment building dead center facing the south side of the park. While the building was being tore down the contractor paid anyone (mostly kids) to chip the old mortar, clean and stack the red brick on pallets. I made a few dollars during that time. That gave us a good source of spending money for us all. The project lasted quite a long time as I remember. The houses along the south side of the street that Murphy Square was on had been abandoned I believe starting in 1959 or so. As kids we would wander through the houses and sort through what the owners left after they moved. I got a lot of old stamps from mail that was tossed out. I was 12 when I moved out to Fridley in July of 62, and throughout the years I have gone back to the park and am glad that it is still there.